There are a hundred ways your home can benefit from thriving, elegant trees and just as many ways those trees can cause problems for the home if they aren’t properly, professionally cared for with arborists trained for tree service in Sarasota, FL. In fact Sarasota tree service has been shown to improve just about every facet of residential trees including their beauty and value with tree trimming in Sarasota, FL, their safety and reliability with tree pruning in Sarasota, FL and even their emergency needs like tree removal in Sarasota, FL. All of these benefits can be gained with regularly scheduled, professionally performed Sarasota tree services! 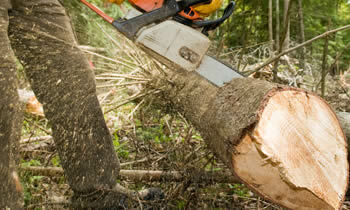 Why Choose Chop Chop Tree for Tree Service in Sarasota, FL? The Chop Chop Tree team of tree service Sarasota, FL professionals are dedicated to helping homeowners be completely satisfied and completely confident in the health, beauty, and vitality of their home’s trees. To that end, each and every Sarasota tree service performed by your local Chop Chop Tree professionals is handled with the professionalism, efficiency, dependability, and proven track record of customer satisfaction which helps to ensure that when you turn to Chop Chop Tree for tree service in Sarasota, FL you’re sure to be happy with your experience. Whether you’re interested in simple quick tree care services like mulching and minor trimming or much more expansive and urgent tree services in Sarasota, FL including emergency tree removal and stump removal in Sarasota, FL, it’s never been easier to love the home you come home to. SImply call (941) 757-8587 to speak with our friendly and knowledgeable arborists in your area and schedule a completely free at-home consultation and estimate for tree services in Sarasota, FL.